Considered George Washington's favorite fish, the American shad is a species of anadromous Clupeidae fish. These types of fish are ray-finned and include herrings, sardines, hilsa, and menhadens, amongst shads. A symbol of Connecticut, this fish is naturally distributed on the North American coast of the North Atlantic from Newfoundland to Florida. The American shad live in temperate areas and can also be found north of the tropics and south of the Arctic. Most commonly, you'll find them near the Atlantic and Pacific Ocean coasts. Shad are to many a harbinger of spring. These relatives of the herring swarm up the rivers of the East Coast as well as several Western rivers every year to spawn. When they return to the ocean, they disappear: no one knows where they go or what they do. We do know, however, that they have a similar life cycle to salmon, spawning in rivers and spending most of their lives bulking up in the ocean. In Columbia, they are considered an invasive species and are found everywhere. As long as you have a fishermen's license, they're very easy to catch there. One of the best ways to deal with shad is to flake out the meat after poaching or smoking. With this method, you can make cold salads, fritters, or cakes out of them. Shad fish are so full-flavored that they play well with garlic, tomato sauce, and/or chili peppers. After deboning shad, you can also make fillets slathered in sweet butter and covered with seasoned breadcrumbs. Broil the fish until all components are browned nicely, and serve with a side of mashed potatoes, fries, or green vegetables. An alternative way of making the shad is to make thin cuts perpendicular to the spine, and dust the shad in tempura batter. Simply fry it, and you have a delicious fish. Keep in mind that with the fried method, the process is often time-consuming and requires a surgically sharp knife to perform the technique correctly. Because shad fish are very bony, not many eat them. With a pressure cooker, however, you can easily soften up the fine bones so that the fish is edible. Some families even prefer shad to salmon, because the fish is tasty and the eggs are delicious—tasting like a meatball when cooked in some bacon fat. From an eating standpoint, the American or white shad is a mixed blessing. 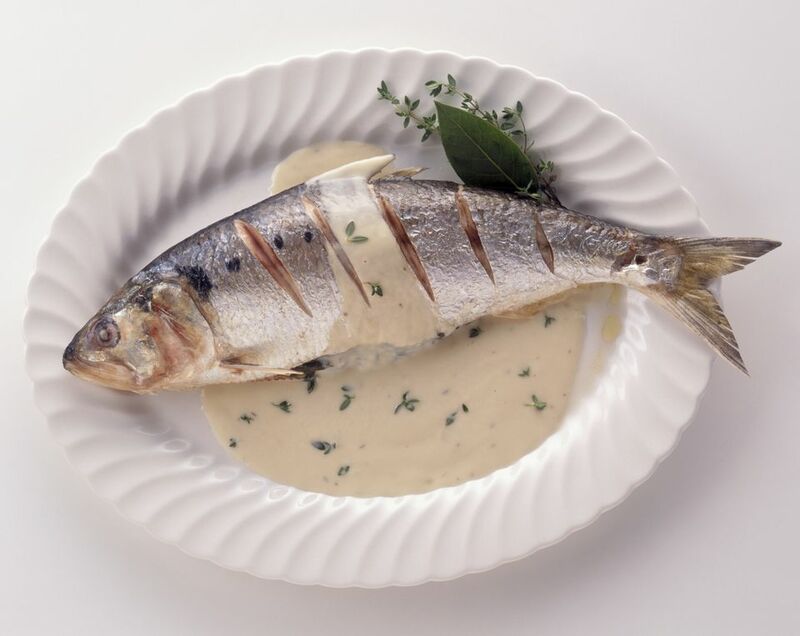 Shad are richly flavored thanks to a good bit of omega-3 laden fat, but they are among the boniest fish in the world. An old Indian saying says that "A porcupine fled into the water and was turned inside out to become the shad." This makes eating a shad fillet something of a fussy business. You eat with one hand and pick away the bones with another. Many people don't like this two-step, so they either bake the fish into oblivion, which dissolves the filament-like bones, or skip the fish altogether.